Hi everyone! We will talk about today are all green, Yes! When you see this you can’t help but be mesmerised with it. 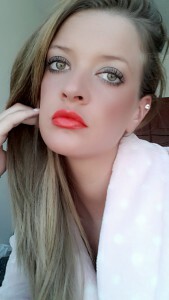 Lets see these pictures and the colours you can use on the green eyes. If you love drama on your green eyes…. go with dark and strong colours. Green eyes are going great with dark brown, dark purple, dark grey and black. These dark colours will bring out the eye colour and they will look more shiny. With neutrals you can’t go wrong. Just for a review neutrals are cream, beige, browns, white, grey and black. In the case you don’t know what you are going to wear or just want to go soft on the eyes go with neutrals. Smokey eyes – it will be always our favourite and most wanted look. You can apply a bit of black on your lids and smudge it with a brown eye shadow to make your green eyes pop. Black eyeliner is one of our favourites and with a bit of gold or bronze shimmer can make your eyes more green. 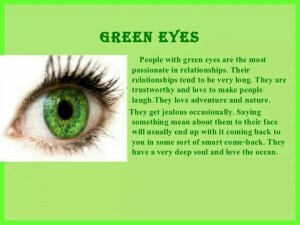 Now there is nothing to left than to try out these colours on your wonderful green eyes. Be playful and don’t be afraid to experiment.